Prime rocket is planned for launch from the spaceport in Sutherland in 2021. Credit: Orbex. Orbex has unveiled its Prime rocket, which is designed to deliver small satellites into the Earth’s orbit and will feature the world’s largest 3D-printed rocket engine. The completed engineering prototype of the Stage 2 rocket was showcased to members from the UK and European space communities at the opening of Orbex’s new headquarters and rocket design facility in Forres, Scotland. The prototype is made using specially formulated lightweight carbon fibre and aluminium composite. According to Orbex, Prime is designed to work with bio-propane to help reduce carbon emissions. The rocket is scheduled to make its first flight from the proposed spaceport in Sutherland in 2021 and will carry an experimental payload from UK-based small satellites manufacturer Surrey Satellite Technology Ltd. (SSTL). UK Space Agency chief executive Graham Turnock said: “Orbex’s new rocket design facility brings Britain one step closer to having its own domestic commercial launch capability and firmly positions the UK as Europe’s frontrunner for those looking to Earth’s orbit and beyond for new opportunities. The new 2,000m² headquarters will incorporate a rocket design and integration facility, as well as feature an operations centre and executive offices. It is also expected to provide more than 130 jobs to the Scottish Highlands region. 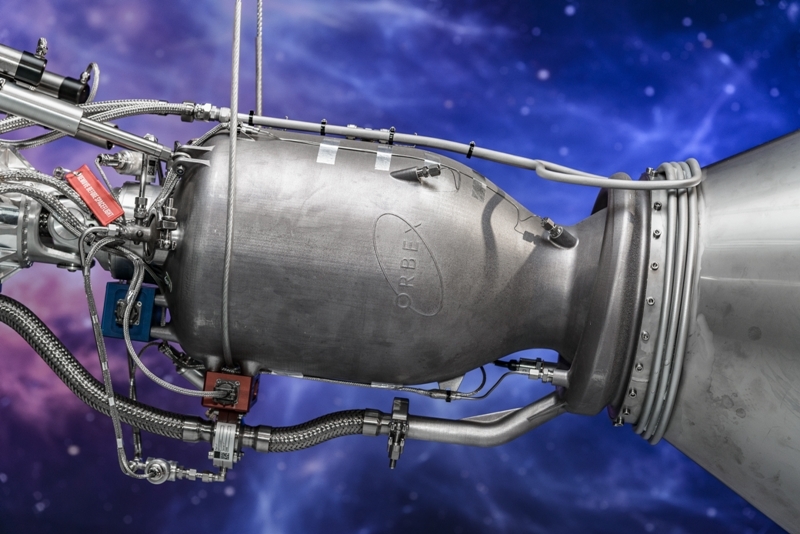 Orbex partnered with additive manufacturer SLM Solutions to develop the 3D-printed rocket engine. The company noted that the engine is designed to withstand extreme temperature and pressure fluctuations. Furthermore, Orbex has been contracted by Swiss-based Astrocast to launch multiple nanosatellites for the development of an Internet of Things (IoT) network. Astrocast aims to build a planet-wide IoT network that is planned to eventually include 64 nanosatellites to deliver IoT connectivity across the planet. Last July, Orbex was awarded £5.5m in grants by the UK Space Agency to build a new rocket to be launched from Sutherland.